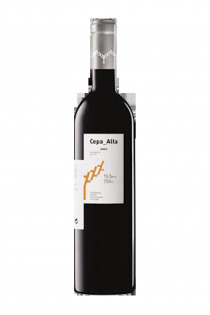 Products of the domain : Bodegas Cepa Alta. Very beautiful property, the Bodega Cepa Alta is located in the town of Olivares de Duero and extends over 34 hectares, therefore a relatively small size. The soils are clayey-sandy with demonstrations of limestone and the vineyard is planted to 90% in classic varietal Temprillano, the remaining 10% in Merlot and Cabernet Sauvignon. The estate buys a little grape but very carefully selected. Quality and constancy are the key words of this beautiful vineyard. In the area of ​​Bodega Cepa Alta, the winemaking is still done in the most traditional way and the breeding is done in oak barrels at controlled temperature.